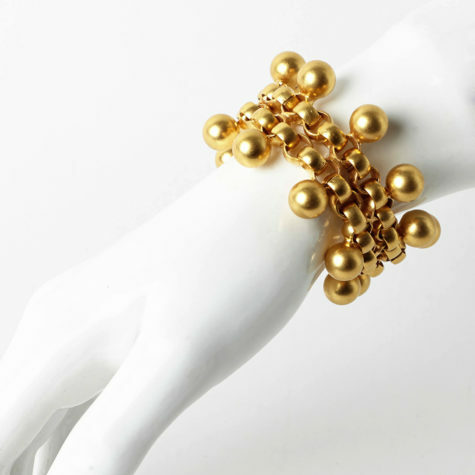 View cart “MAXIME POINTE BRACELET” has been added to your cart. 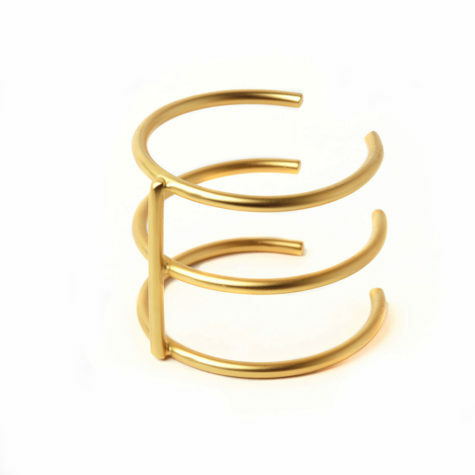 Elegant cuff made of 3 rows. 18K Matte Gold plated Brass. 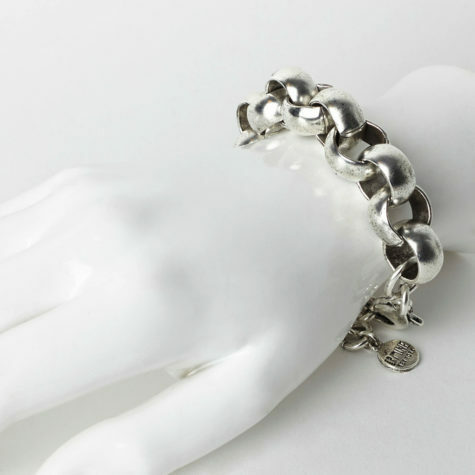 Thick Bracelet made of 2 rows of links. 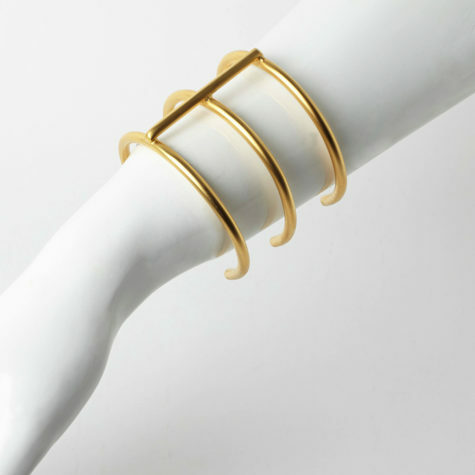 18K Matte Gold or Silver oxidized plated Brass. Double chain soldered with 7mm balls on both sides. Made of 18 K Matte Gold plated Brass. Length 6 inches and 1 inch extension links.Width 1 inch and 1/4. 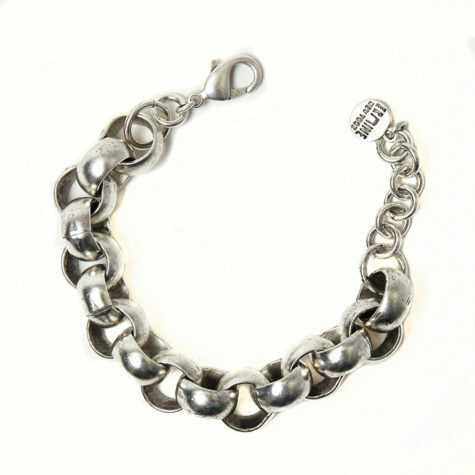 Chain bracelet with randomly soldered Glass stones navette shapes. Nice movement around the wrist. Bracelet inspired by the New York skyline. 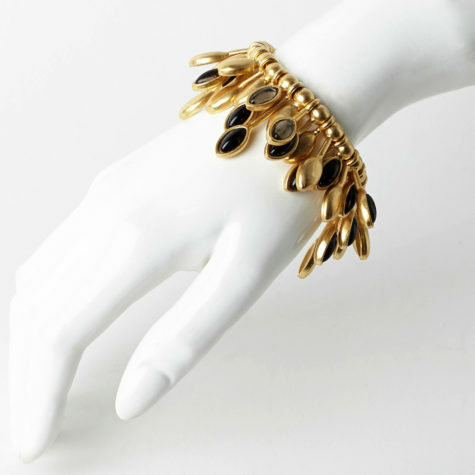 Made of 18 K Matte Gold plated metal. Nice movement of the uneven pieces on the wrist. 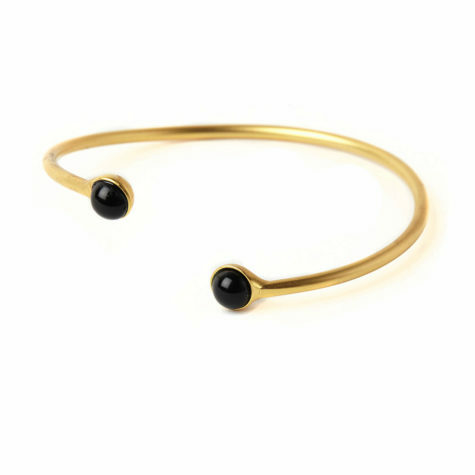 Beautiful 18 K Matte Gold plated brass adjustable bangle with 7mm Swarovski crystals , glass cabochons or Gemstones. 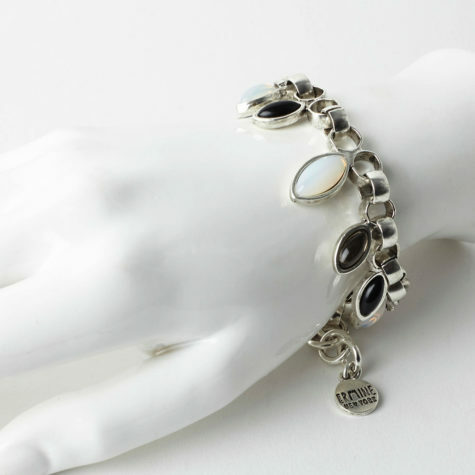 Beautiful layered on or stack. Other colors or stones available on demand. 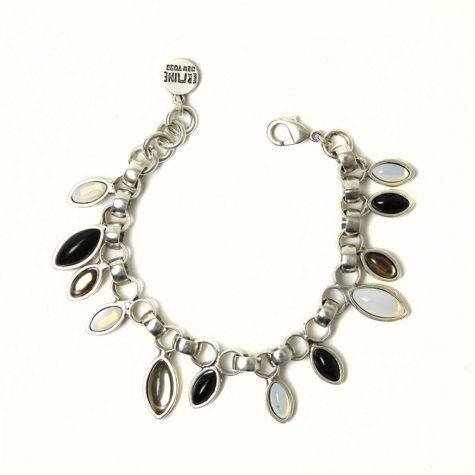 Stunning bracelet made of navette shapes of different lengths with black or black diamond glass stones.Nice movement around the wrist. 18K Matte Gold plated metal. 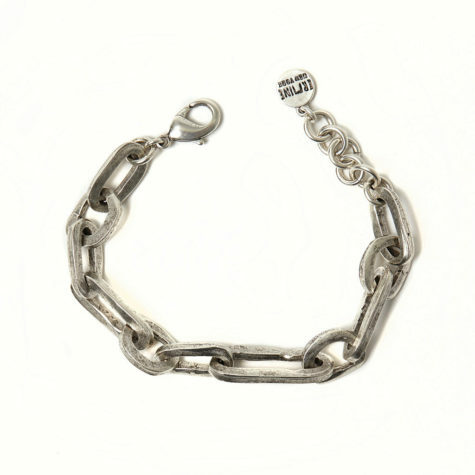 Length 6 inches with 1 inch extension chain.Width 1 inch 1/2 the widest. 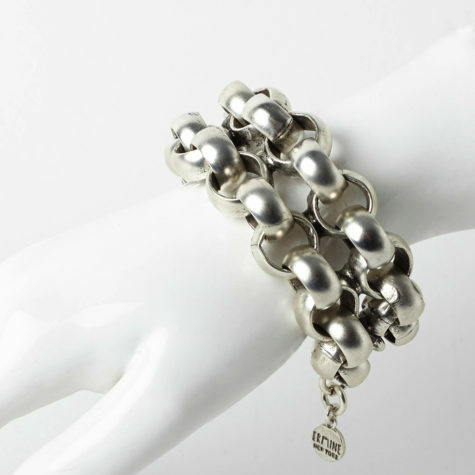 Bracelet made of chunky uneven links. 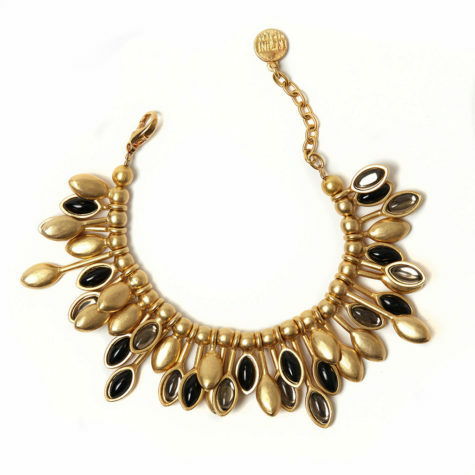 18K Matte Gold or Silver oxidized plated metal. Length 6 inches .Extension chain 1 inch. Classic vibe with a contemporary touch . 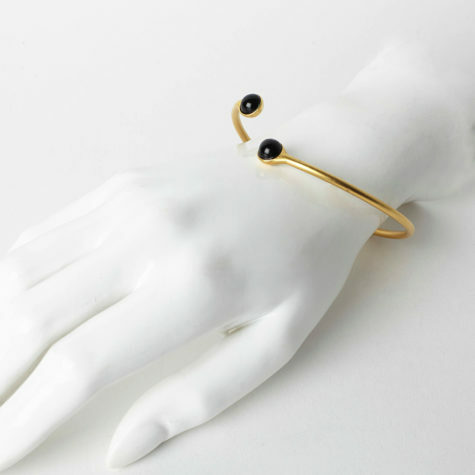 Bracelet made of 18K Matte Gold or Silver oxidized plated Brass. 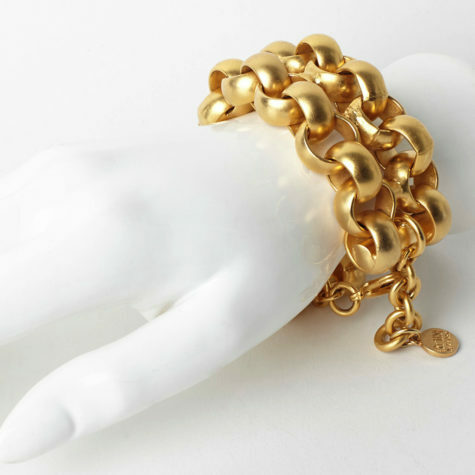 Length 6 inches and 1 inch extension chain. Copyright © 2018 Ermine New York All rights reserved.